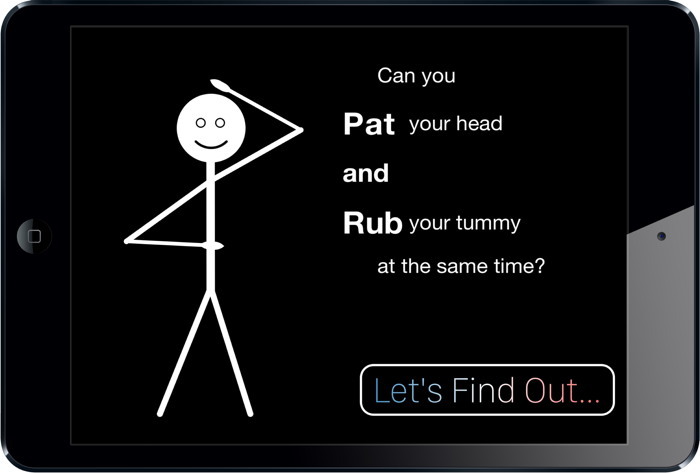 Pat & Rub is a challenging game based on the idea that it is hard to pat your head while you rub your belly. In fact, doing two different things with each hand is often hard, but is important in many activities, such as playing the guitar, piano, and drums. Even in daily life, your two hands are often doing different things. 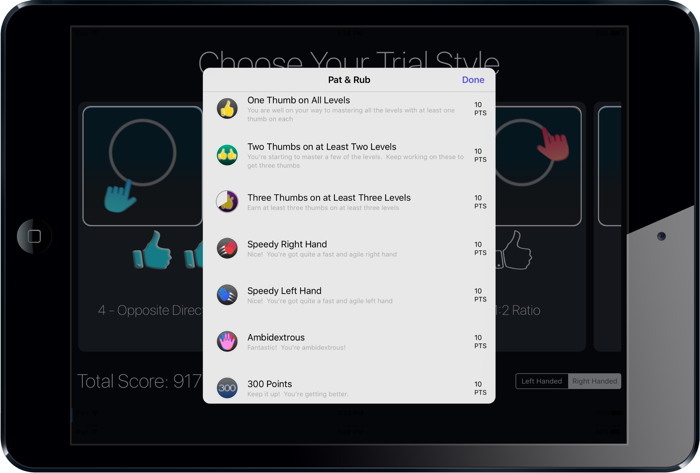 This game will test your abilities and help you improve your bimanual coordination. 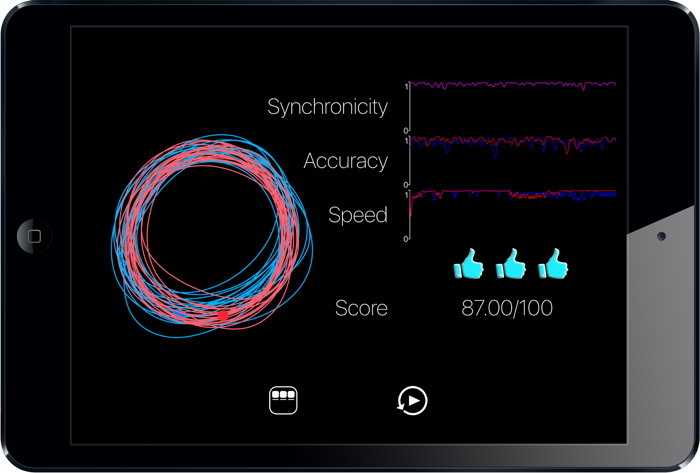 Game play is simple: just recreate the motions that are shown with your two hands. 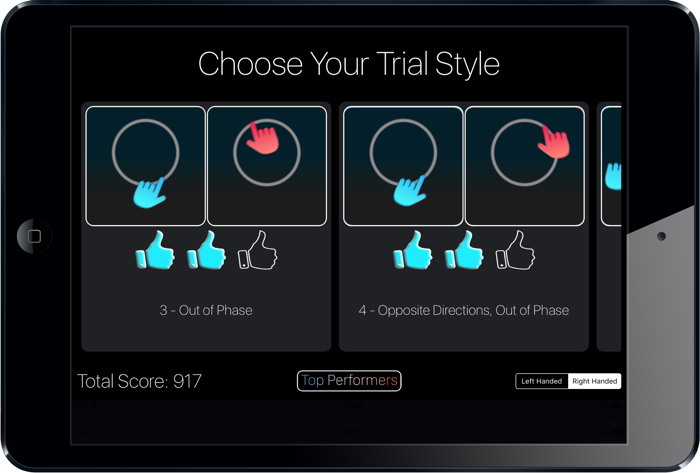 When you are done, you'll see a summary (and graphs) of how well you did. Want other features? Please email me at kylereed@usf.edu.